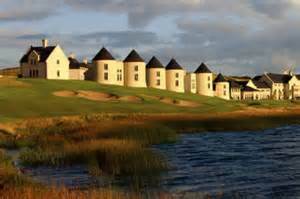 Just back from the Lough Erne Resort! Back home again after my third and wonderfully successfully culinary tour of Ireland and one of my hi-lights was our dinner at the Lough Erne Resort. My friend Noel McMeel and his culinary team presented the Shamrock and Peach tour group with a menu inspired by the food that was served a the G8 summit. The Catalina restaurant was awarded the best hotel Restaurant in Ulster 2013 by the Restaurant Association of Ireland and there is no doubt why when you taste and see that it is good. The emphasis and respect is on local product and sourcing and promoting seasonal produce. Hotel bookings are at a record boom since the G8 summit and we arrived in the middle of a full blown Irish wedding reception. Needless to say our American guests were highly entertained with wedding guests rolling down the grassy banks overlooking the superb golf links and singing at 3 am but what else can you expect in Ireland? The hotel staff and culinary team very relaxed compared to our last visit in June prior the arrival of the world leaders. Noel McMeel is raising the bar for Irish food and his creativity and passion is matched with his belief in endless possibilities and active participation! Way to go Noel and Lough Erne culinary team! Looking forward to returning in 2014!